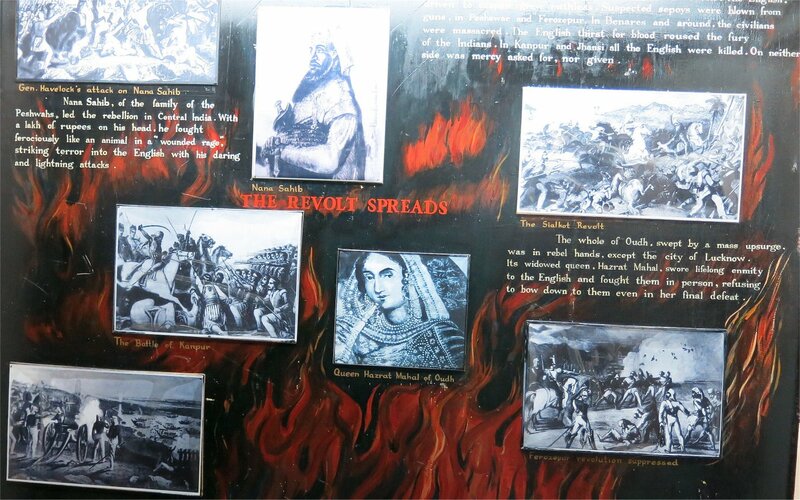 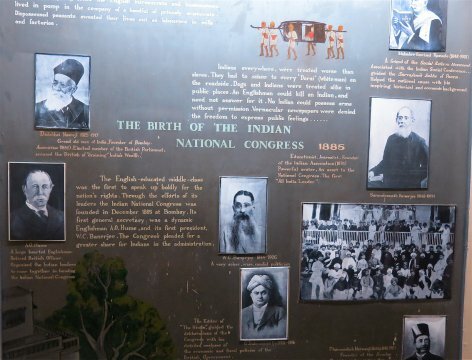 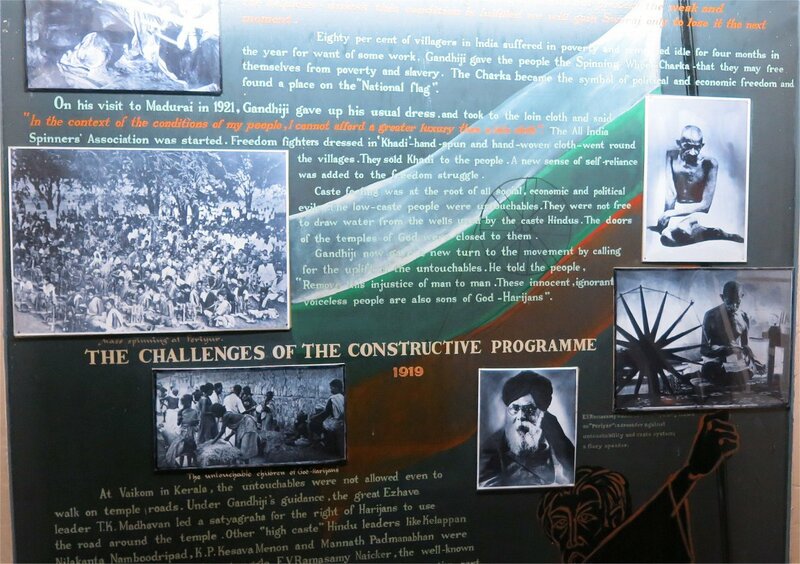 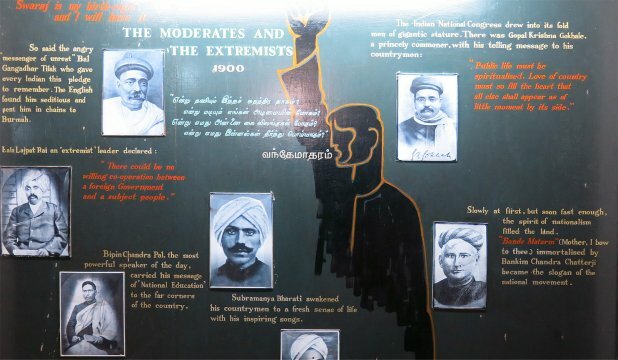 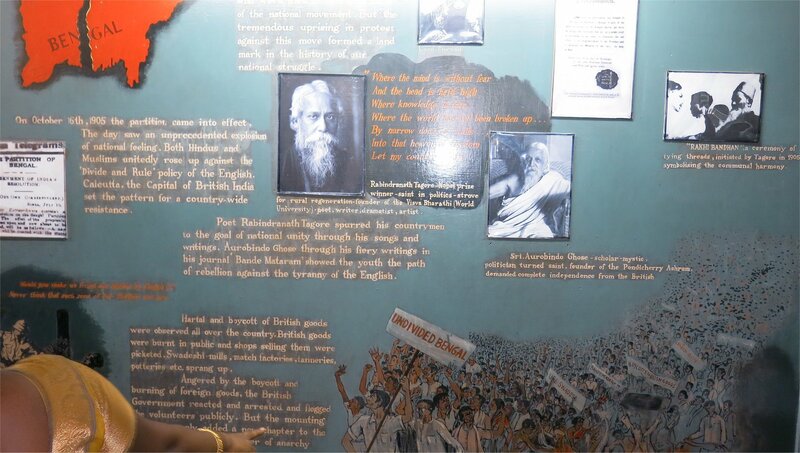 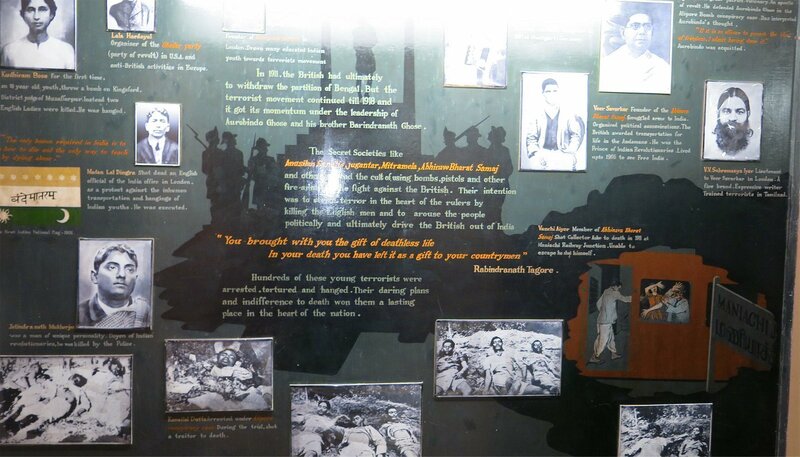 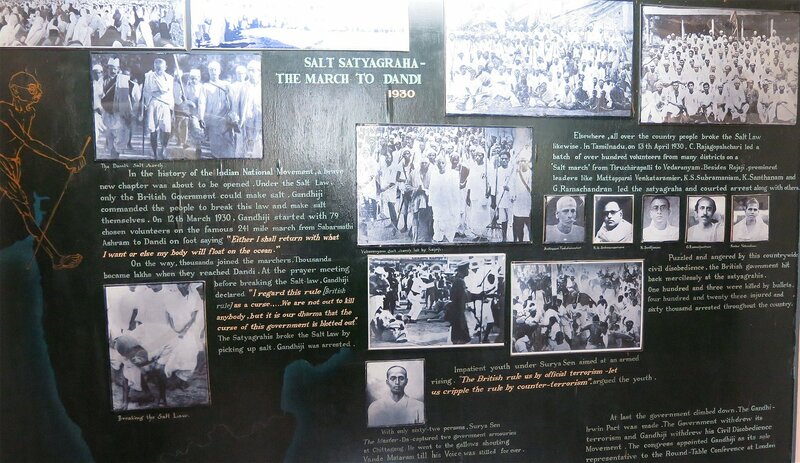 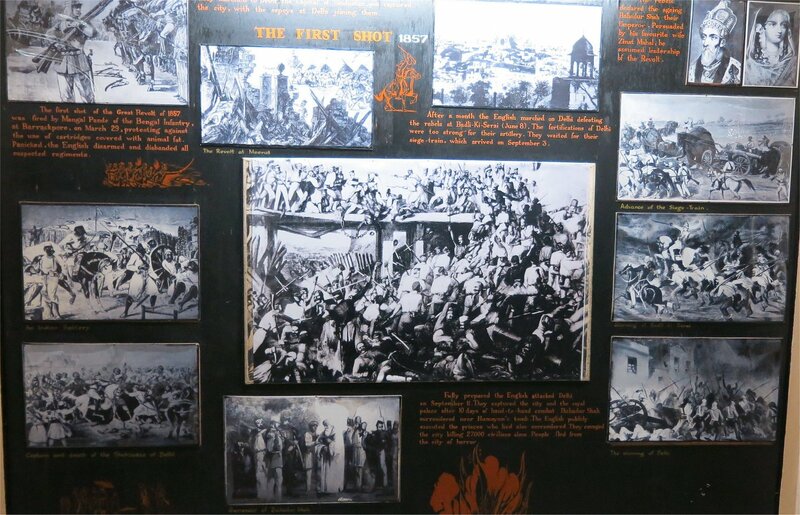 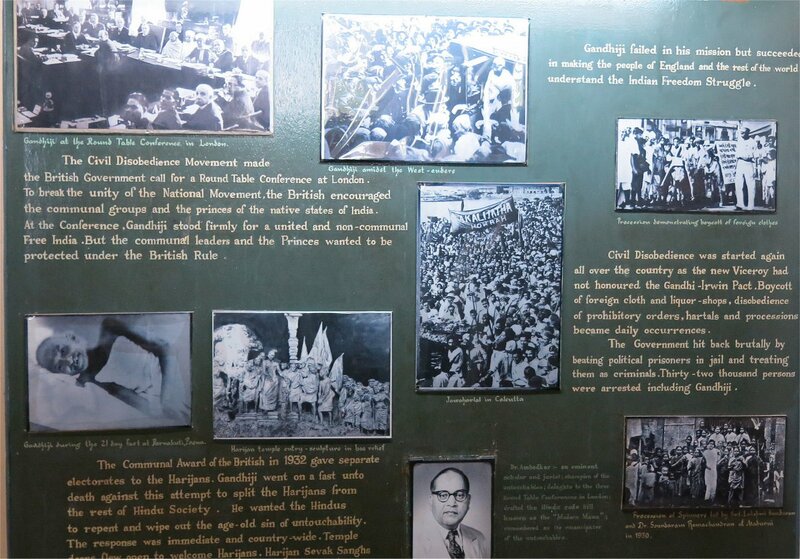 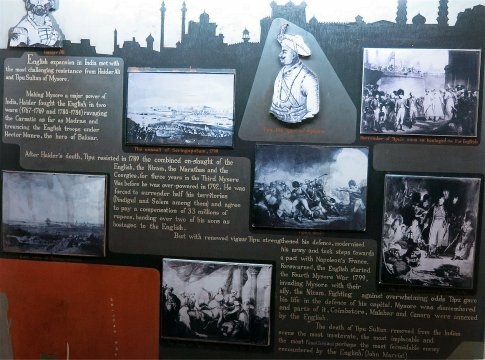 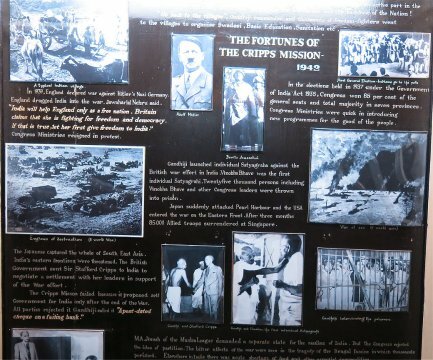 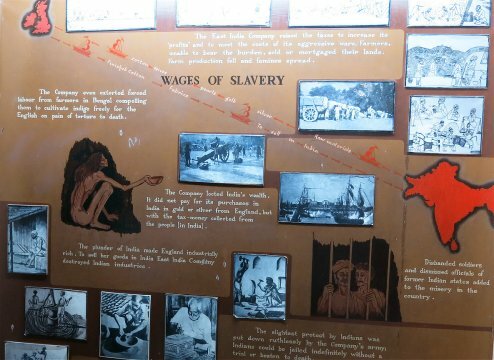 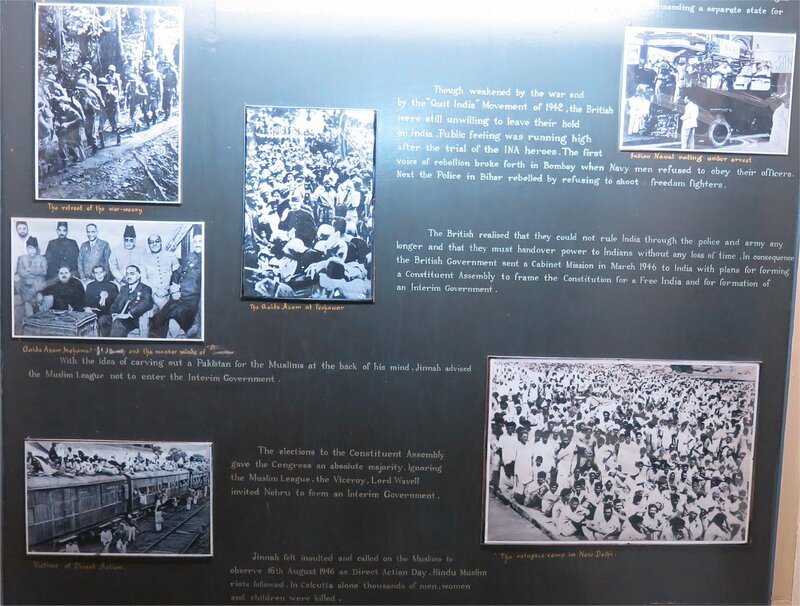 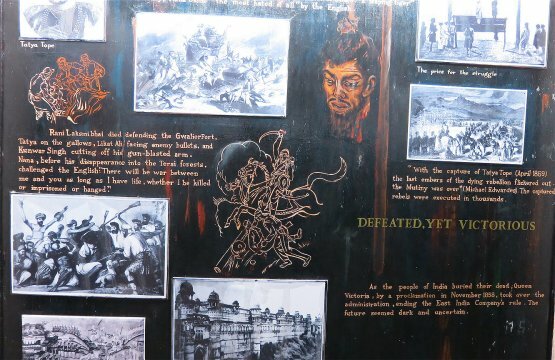 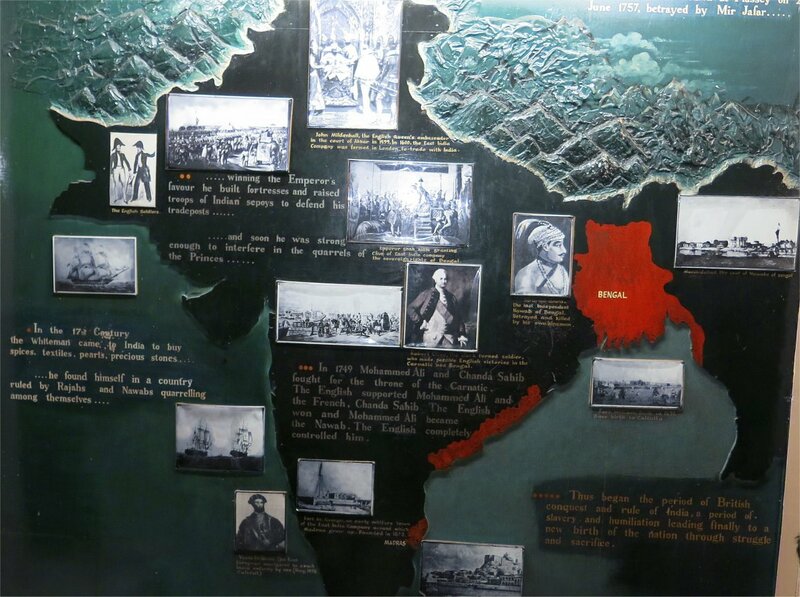 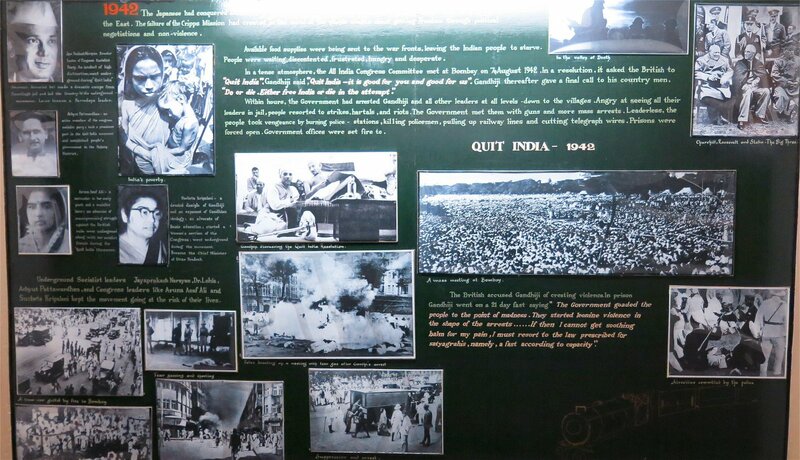 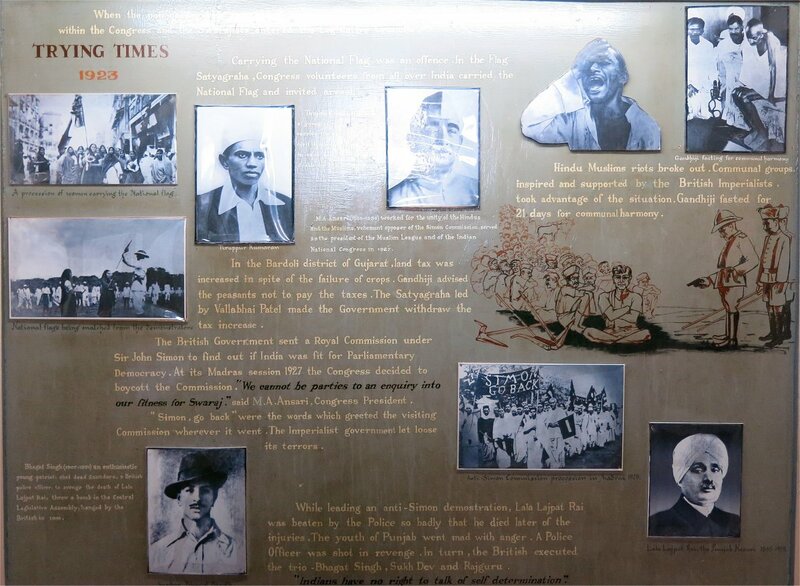 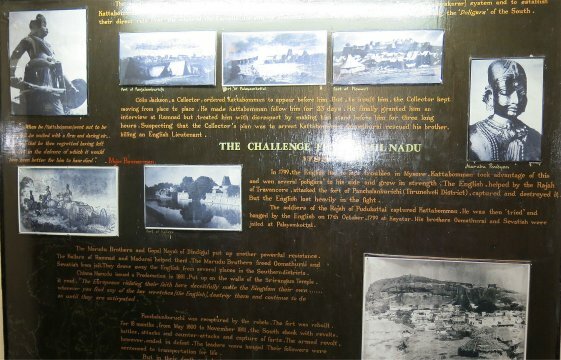 The "India Fights for Freedom" exhibition features 265 illustrations, depicting the history of the Freedom Movement. 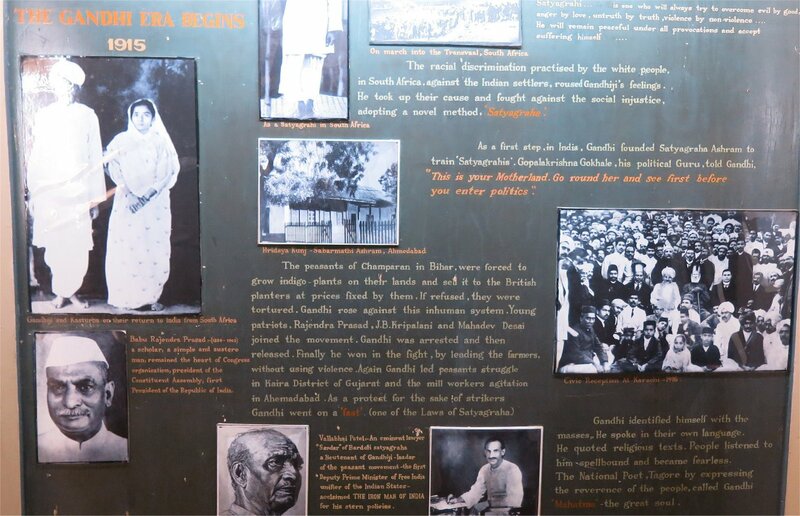 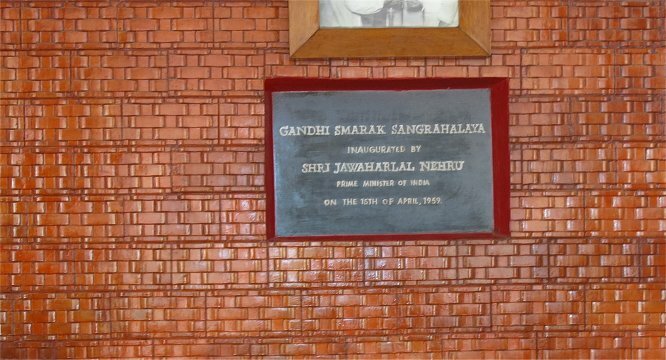 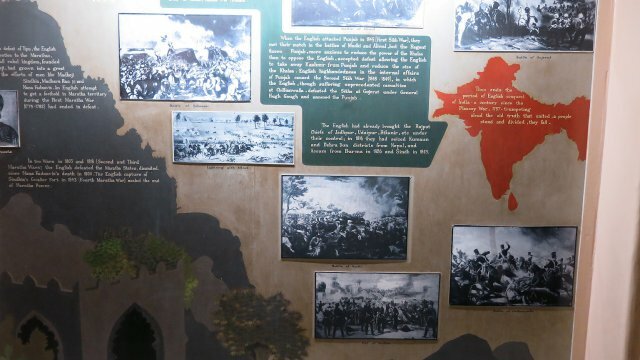 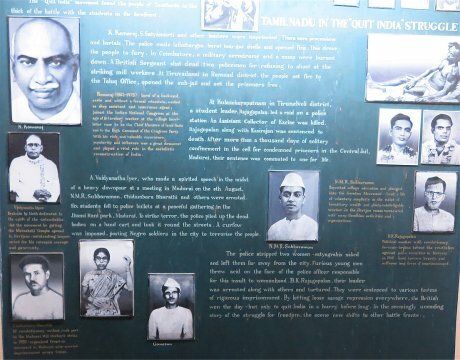 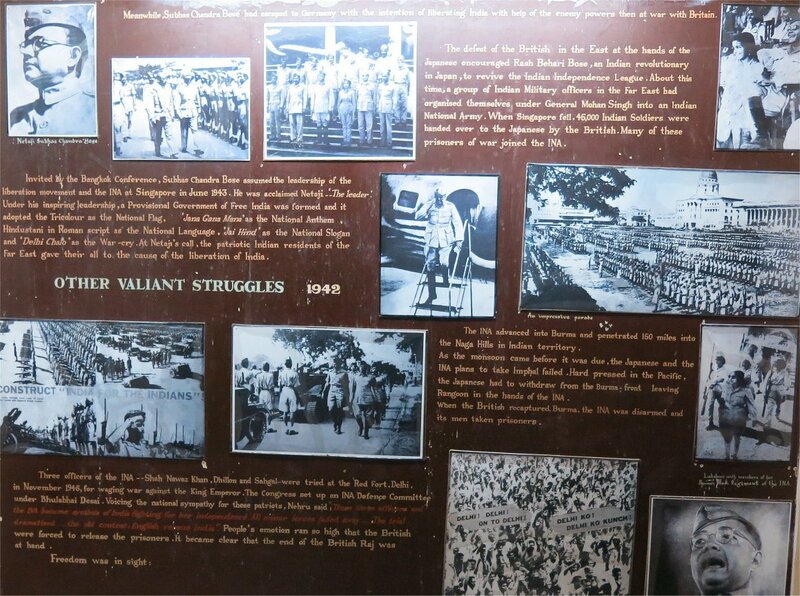 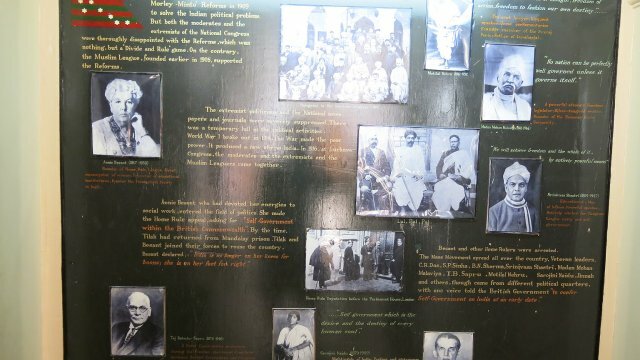 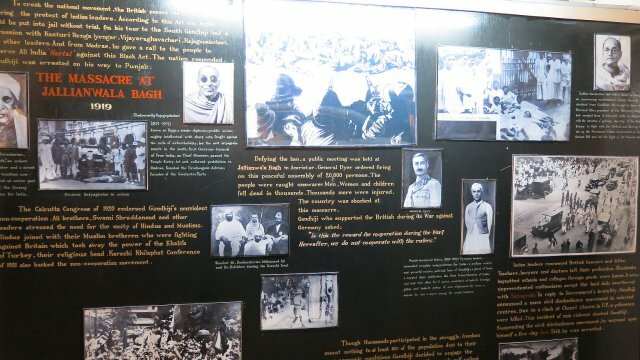 The "Visual Biography of Gandhi" section contains photos, paintings, sculptures, manuscripts, quotations and photostat copies of many of Gandhi's letters and renderings. 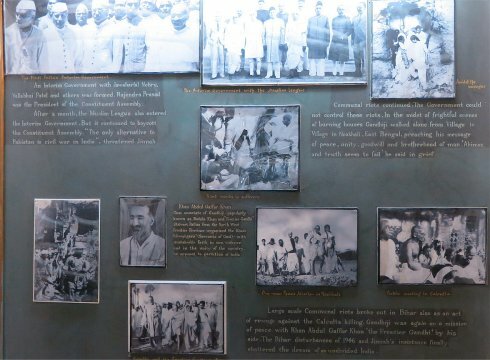 The 124 rare photographs depict various phases of Mahatma Gandhi right from his childhood days until being taken to the crematorium. "Relics & Replicas" contains 14 original artifacts used by Gandhi. 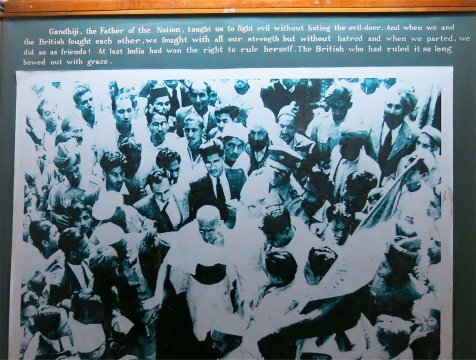 The most important thing is the Blood Stained Cloth of Mahatma Gandhi used by him on the day of his assassination. 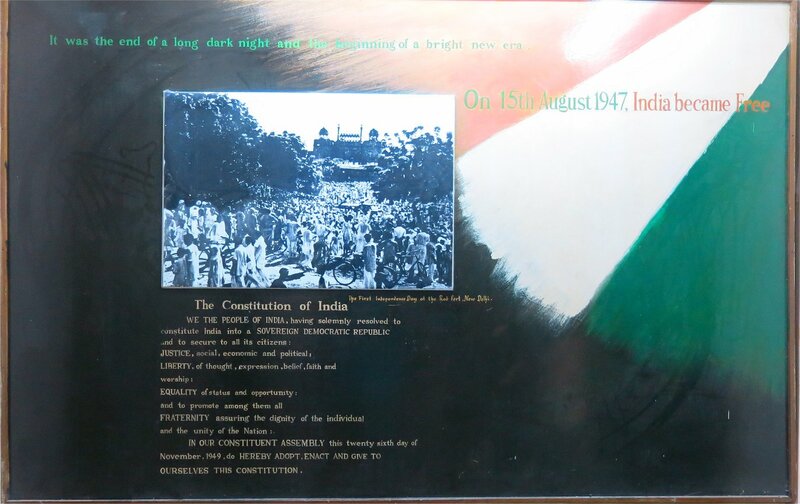 This is conserved inside a vacuum glass box.